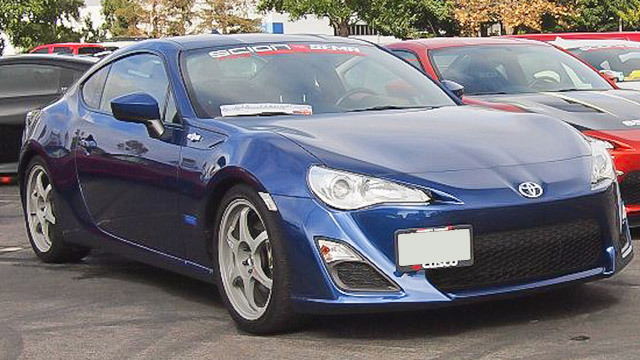 Even though Toyota phased out the Scion marque, Goodyear Tire & Auto Repair continues to support Scion owners. We continue to service, diagnose and repair Scions – and intend to continue into the future. We are the premier Santa Cruz Scion service and repair center. We can provide everything from a minor service to major repairs for any Scion currently on the road –be it iA, tC, xB, iM, or FR-S. Since Scions were made by Toyota, we do not foresee any problems with parts availability. Scions are known for excessive oil consumption, sometimes as much as 1 quart every 1000 miles, so we recommend frequent oil level checks, and carrying a quart of oil in your car at all times. Running out of oil can result in engine failure, which would be very dangerous when driving at freeway speeds. We are also big fans of keeping the manufacturer recommended maintenance schedule – regular service keeps your vehicle in top shape – and gives us an opportunity to spot impending problems before they lead to breakdowns. If you keep up regular maintenance, your Scion should provide you with years of trouble-free operation – as it is a high-quality Toyota product. Naturally, as your Scion ages, Goodyear Tire & Auto Repair is ready to help with all routine oil service and maintenance, as well as with any Scion repairs. Our ASE certified technicians can provide oil service, spark plug replacement, brake repair, fix transmission issues, perform electrical diagnostics and repairs, fuel pump replacement, check engine light diagnostics, air conditioning recharge, emission problems, timing belt replacement, A/C system diagnostics and repair, water pump replacement, evap leaks, shocks and struts other services and repairs your Scion may require. We are happy to see you and you Scion, whether it needs minor service or major repairs. Our friendly staff will greet you and do its utmost to get you back on the road as soon as possible, so give us a call, or schedule an appointment online.